How Guar Meal Helps to Improve the Nutritive Value of Broiler? 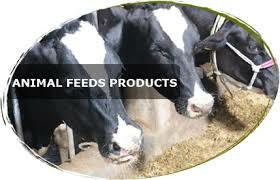 As there is a growth in population, the demand of feeding products is increasing day by day for human and animals. Guar meal is mostly been used in feeding of the animals as well as broilers. Guar Meal is by-product of guar gum that is been extracted from guar seeds of leguminous plant. It contains good amino acid with nutritional factors like β-mannan), saponins and trypsin that has positive effects on bird health and performance. The Guar Meal products for broilers are been manufactured through different processes like Roasting/Toasting, Micronization, Sterilization etc. that helps to enhance weight gain & immunity in the broilers. Studied showed that roasted guar meal contains more than 50% of protein, 5- 6 % of ether extract, crude fiber, total ash. On the dry matter basis, it contains equal amount of calcium, phosphorous, and acid insoluble ash. The crude protein of the guar meal includes contents of germ, hull and endosperm that equally contribute to the nutritional factors of guar gum. It also contains residual gum in different concentrations. It is also a good source of essential amino acids like Proline, Tyrosine, Glutamic Acid and many more. Guar Meal Supplementation in the diet of broilers helps to improve the immune system and also reduces the cholesterol level as well as glucose level. Studies suggest that guar meal formed with different processes and enzyme supplementation can be supplemented to broilers in variable ratios gives a high protein feed without any adverse effects. It is also been used as a substitute of soya bean meal and corn gluten meal. Considering the requirements and various factors, Altrafine Gums provides high quality of guar meal that is widely used in poultry feeds, fish meal as well in animal feed.